Alice with her Gold Medal! 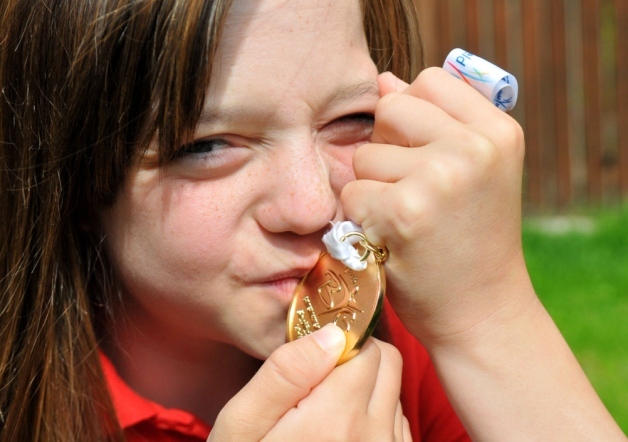 A big well done to Alice Skinner after winning a haul of medals at this years British Transplant Games in Sheffield. She won the Gold medal in Ball Throwing, Silver and Bronze in Swimming, and another Bronze in Table Tennis. Alice trains with Derek as part of the Advanced Improvers Group through the summer but cannot swim during the winter months as she can’t risk catching cold or flu. She hope to be back with us in the spring to train hard for next years games!